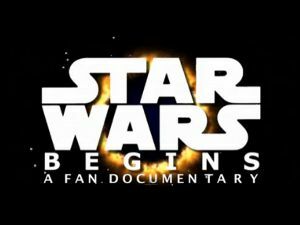 Star Wars Begins is an amazing fan video that combines trivia, various video and audio clips about the original film and the result is fascinating. Considering the film has been around for decades its amazing that he was able to find enough new material to make it interesting. You can watch the whole two hour video here or the 14-part series at http://www.youtube.com/user/jambedavdar. Can you believe there are still things to learn about the movie? Any facts about Star Wars that surprised you? No, thank you. Awesome job. Hard to believe it's possible to watch Star Wars in a new way, but you did it.